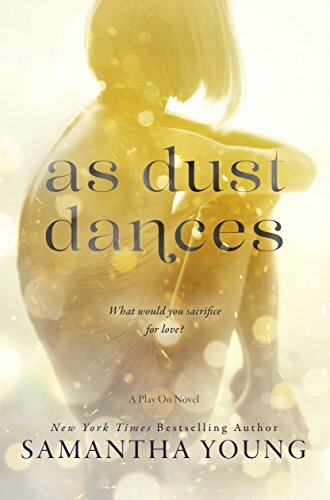 As Dust Dances by Samantha Young was an angst-filled and emotional read with great characters. A story of music, second chances and hope. Skylar Finch knows the cost of fame. Though she once dreamed of making it in the music business, the reality of it was too much for her. Years later that life is behind her and all she wants is anonymity. She is now homeless in Glasgow making a few bucks by performing on the streets. The last thing she wants is to be back in the lifestyle she walked away from, but when things turn rough, she may have no choice. Killian works for his uncle’s record company is working very hard to make a name for himself and the company. When he hears the woman playing her guitar on the streets, he is entranced by her. He believes she is the break he has been looking for. But what if what he asks of her be too much? I loved Skylar. Though she was running from her past, she was strong and determined woman who was a bit lost. Killian on the other hand could be a bit cold and standoffish at times, however, something about Skylar called to him. Though both Skylar and Killian feel the chemistry between them, they both want very different things. Can they make it work or will Killian push her too far? I loved reading As Dust Dances by Samantha Young. It was emotional, heartfelt and heartwarming. I loved seeing both characters fall and grow in this story and find what they truly desired.